The ill-omened, inauspicious plots of the terrorist gang Mujahedin-e Khalq Organization against Iran seem to have no end. The recent letter signed by 44 U.S. Senators addressed to President Obama in which it was implied that time for diplomacy with Iran is over and other options to deal with Iran’s nuclear program should be considered to be a magnum opus of MKO. The website of Habilian, a non-governmental organization which represents the families of 17,000 terror victims of Iran, has recently published a news story, suggesting that the affiliates of MKO are behind the letter which near to half of the U.S. Senators signed and requested President Obama to end diplomatic efforts and dialogue with Iran and consider other options in dealing with the country’s nuclear standoff. The pro-Zionist Senator Roy Blunt who has made fanatic statements in support of Israeli regime and enjoys strong ties to the Iranian-American Cultural Association of Missouri, an MKO affiliated organization, was the mastermind of the letter to President Obama. Now, having in mind Blunt’s unwavering sponsorship of Israel and his clandestine relations with MKO, one may seriously suspect that the hostile letter which the U.S. Senators blindly put their signatures on was spearheaded by MKO. The website of UK Committee in Support of Ashraf which is a London-based organization that advocates regime change in Iran and has voiced its support for the members of MKO organization has published articles and interviews by Roy Blunt and proposed the idea of removing MKO from the State Department’s list of foreign terrorist organizations. According to a report published on May 24 on the group’s website, Roy Blunt told a Senate briefing that the decision for delisting MKO should be made as soon as possible and that there’s no evidence confirming the “allegation” that residents of Camp Ashraf in Iraq possess weapons. 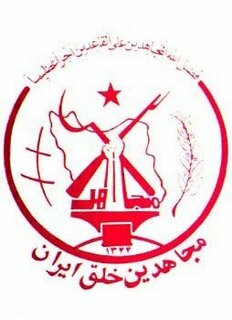 These MKO-associated groups are actively lobbying to convince the Iraqi government, through pressures by Obama administration, to relocate the members of MKO who are now residing in Camp Ashraf, a refugee camp in Iraq’s Diyala province, to another country and provide them with security and shelter. They are afraid that Iraq may hand in the members of the terrorist organization to Iran which unquestionably will be followed by their legal prosecution. The UKCSA (the UK-based group which supports MKO) calls Iranian government extremist and talks of the members of MKO as freedom and peace warriors who want to bring democracy to their fellow citizens in Iran. The irony is the name of these very “peace warriors” was until recently on the European Union’s list of terrorist organizations. EU removed MKO’s name from that list in 2009 in an attempt to pressure Iran over its nuclear program and demoralize, undermine the Iranian government. MKO is responsible for the killing of hundreds of innocent Iranian civilians and government officials including former judiciary chief, Ayatollah Beheshti. The animosity and hostility of the MKO with the people of Iran needs no evidence or proof. They spare no effort to damage the security of Iran and realize their devilish planss. It’s time for the international community to mindfully confront MKO and stop them from furthering their dangerous plots in the future.